As a cake decorator, it’s easy to get caught up in my own vision of how a cake should look. Which works, since most people aren’t overly specific about how they want a cake to look. My boys have a very specific vision in mind when they ask for a cake. For example, when I made my 5 year old’s Pirate Ship Cake in January, his first comment was, “the cannon is facing the wrong way.” Little critic! This past week was my 3 year old’s birthday. 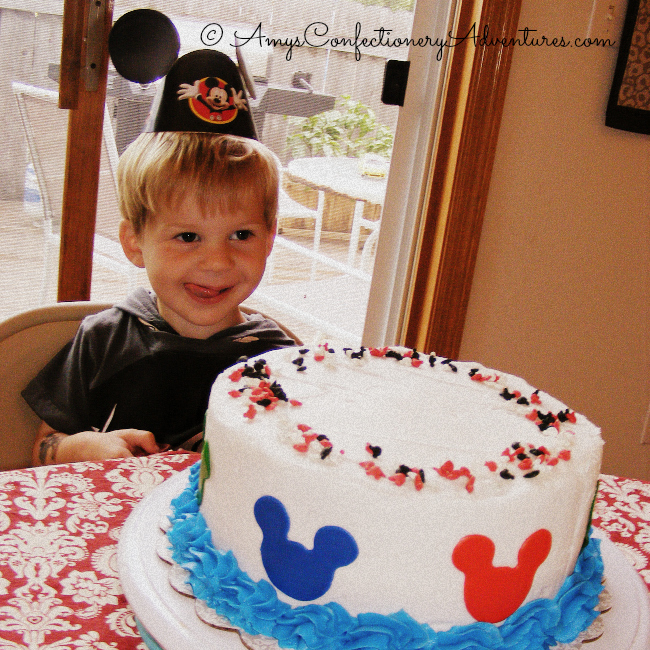 He has known for quite some time that he wanted a Mickey Cake. 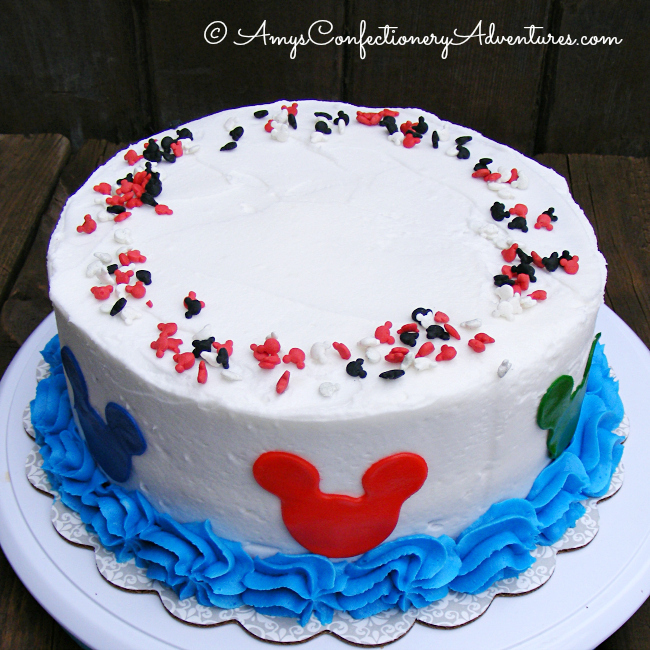 I had a grand cake in mind, something like the Minnie Cake from last year. But then I thought I’d best consult with the birthday boy. 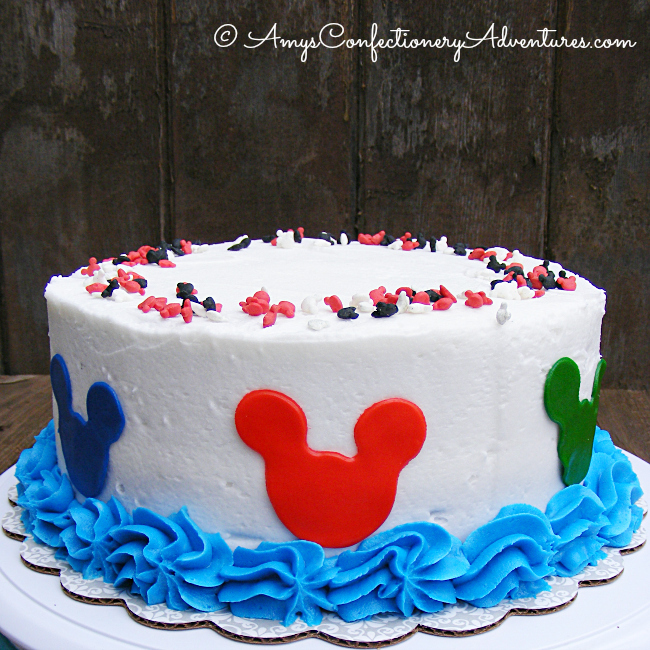 And all he really wanted were red and green and blue Mickeys on his cake. So I gave my little boy exactly what he wanted! And he was thrilled! The cake was a rich chocolate cake, covered in white buttercream, with a few fondant details. Awww sometimes simple things are best! Love Mickey!